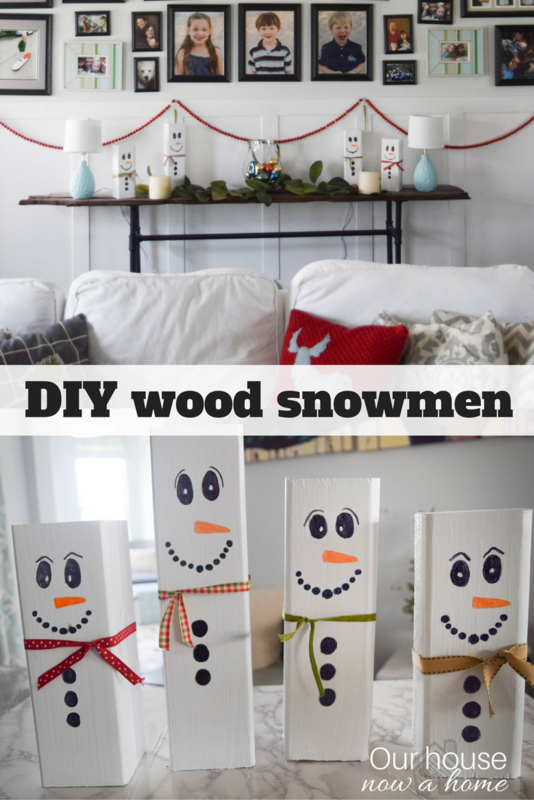 Today I am sharing another quick and simple decorating project, these Wooden snowman craft, easy Christmas decoration idea are so cute! How is everyone doing? We are deep in the trenches of the Christmas season, I am loving every minute of it! I have about half of my Christmas shopping done, thanks to cyber Monday sales but I am pretty sure the mail person is hating me with the daily trips to my front door. Other than a possible cranky delivery person this season is shaping up to be such a great one! 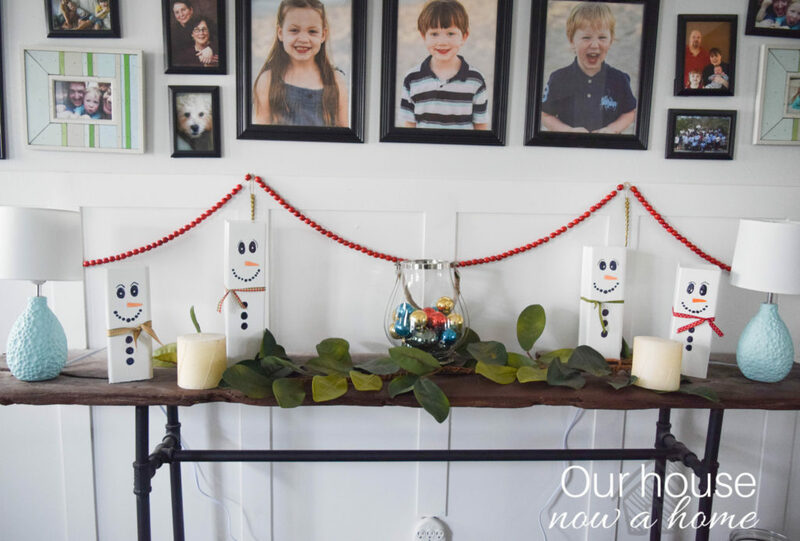 My kids are all old enough to remember previous holidays, we have fun traditions, and they even helped me decorate our home! Did you see my Christmas home tour?! You can see that here, it went live on Monday and there is 28 other bloggers sharing their homes all week long. Also a crazy big giveaway with $580 cash! Yep, you might want to check that out. My daughter Nora actually came up with this project, for fall I made these wooden pumpkins out of 4x4s. Nora asked me why we could not make something Christmas-ish like those. Initially she wanted me to make some Santas, but admittedly I did not want to run to the store and get any supplies. I do not have any red paint, so I asked her if snowmen would work. I have a lot of white paint around my home. Yay for home decor laziness! Also for being a legit hoarder of building and craft supplies. I had a left over 4×4 that I cut into four different sized blocks. Then gave them two coats of white paint. 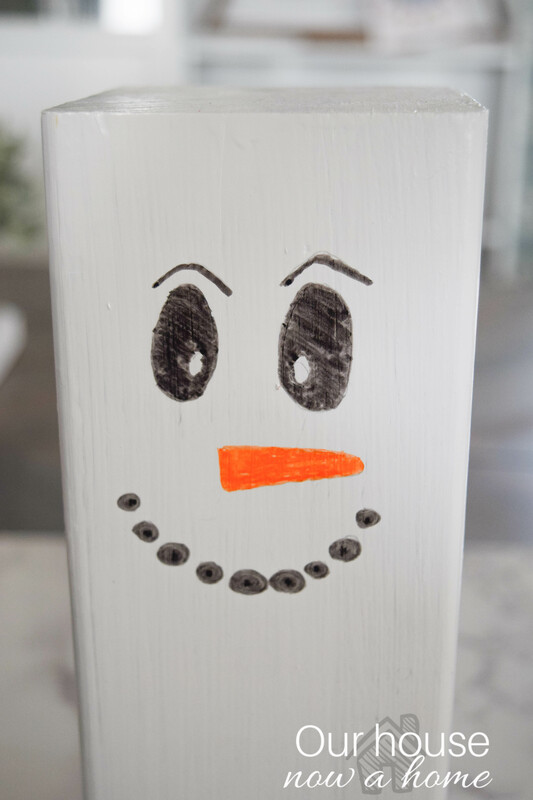 I drew on the snowmen faces with pencil. I gave them a slightly different eye look. The first one I did looked a little crazed so I softened the eyebrow shape for the others. This one work, Christmas can be intense guys. Here is where my skills of crafting shine….. I used a sharpie and colored in the shapes. I could have painted, and you can if you make these. But the marker approach was quicker, easier, and less clean up for me. I got a bunch of Christmas ribbon from a craft store earlier in the season. Just to have on hand for those decorating moments, which this is one. I used 4 different ribbons, so each snowman has a different color and pattern. I thought this resembled a scarf. That is it! I would call this one of those 5 minute decorating crafts like my topiary Christmas tree made from a tomato cage, but I did have to wait for the two coats of paint to dry. Me actively working on it was probably 5 minutes. Easy stuff here people! 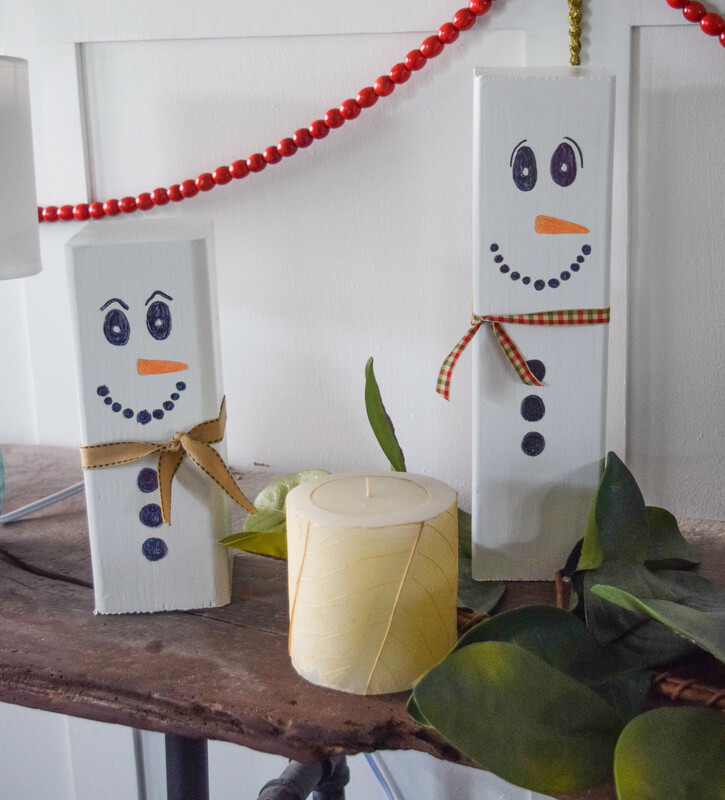 I had planned to make some kind of paper top hat for these, but I liked the simplicity of the white snowmen against the rest of my Christmas decor. Each year with my holiday decorations seems to have a mind of it’s own. Last year I went rustic all the way. This year I blended in some natural elements with light colors, simple additions. A more fresh and clean look. 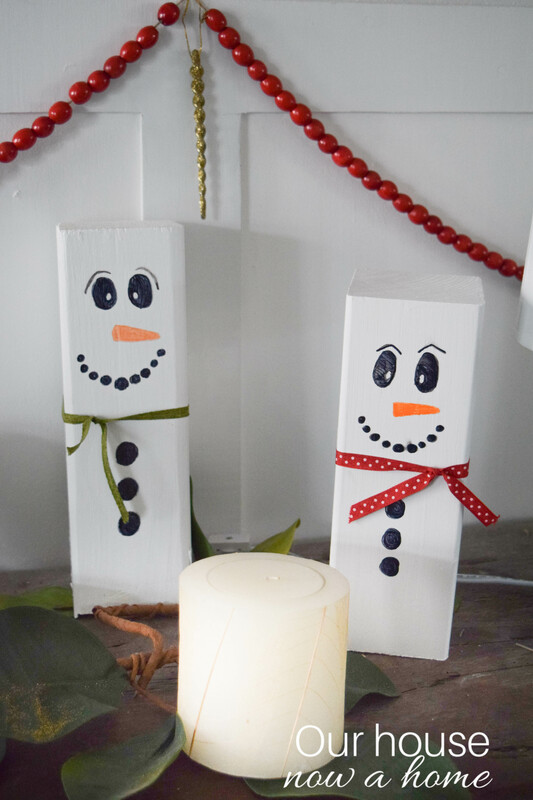 Oh guys, these Wooden snowmen craft are too cute! 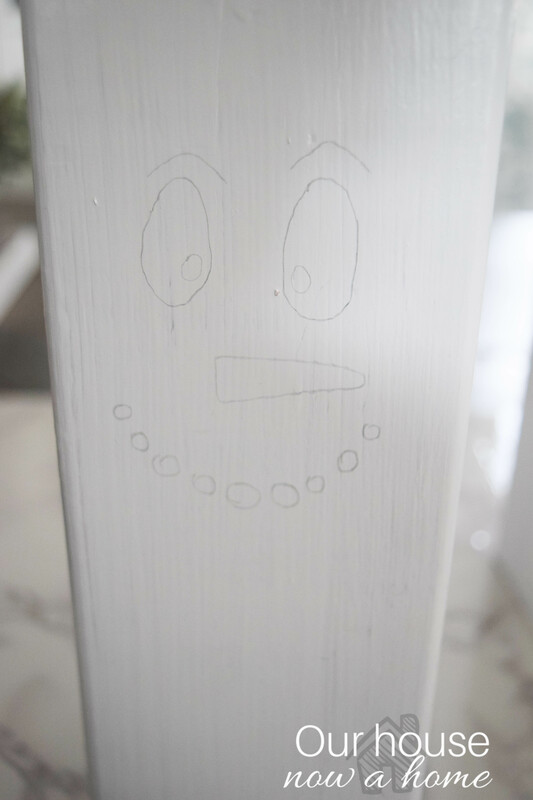 I had planned to have my kids help with this project since it was Nora’s idea, but when it came time to start drawing on them once the paint was dry they had lost interest. Such is the life with young kids, something shiny and new caught their attention. I say it a lot, but really believe it. Doing simple crafts like these are what allow me to go all in with my Christmas decorations. I can splurge on throw pillows, or something I cannot make. But all of the smaller decor items I can make on my own. Saving me a ton of money and giving my home a unique look to it. 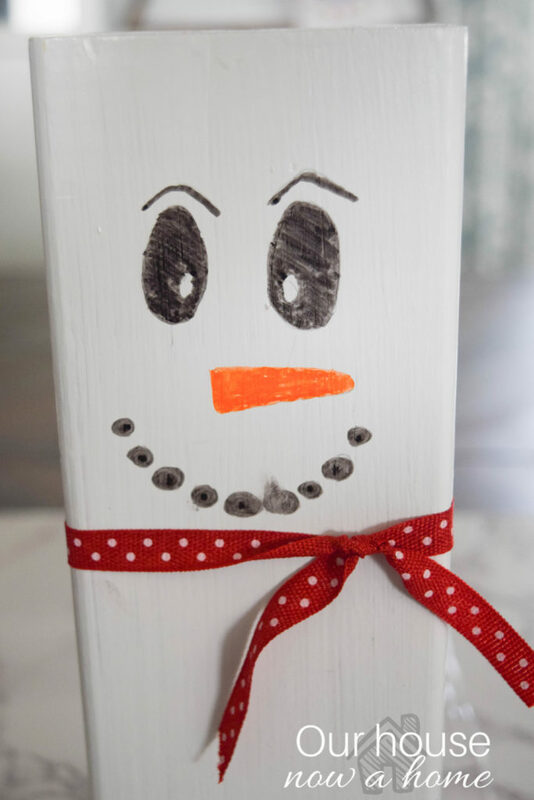 These Wooden snowman craft, easy Christmas decoration idea is just one of many holiday crafts I have created for my home. I shared my full home tour, and will be rolling out a few more craft projects leading up to Christmas. Next week I will also be sharing a few of my ideas and thoughts on decorating. Explaining how I got the look I did. 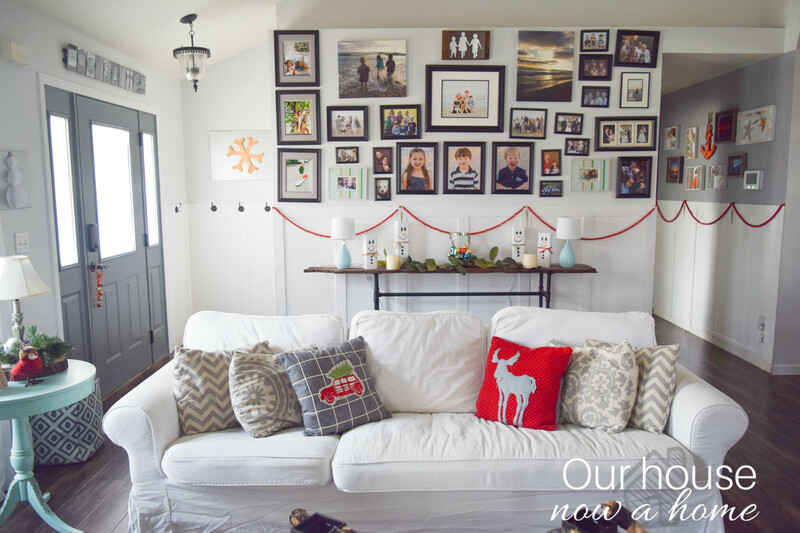 I also need to still share my Christmas front porch and the new and improved dining room, just in time for those holiday parties! So much happening around here in my home, on the blog and in life. This time of year is packed full of busy days, fun get together, and late nights prepping for Christmas! I adore every moment and soak it all in! 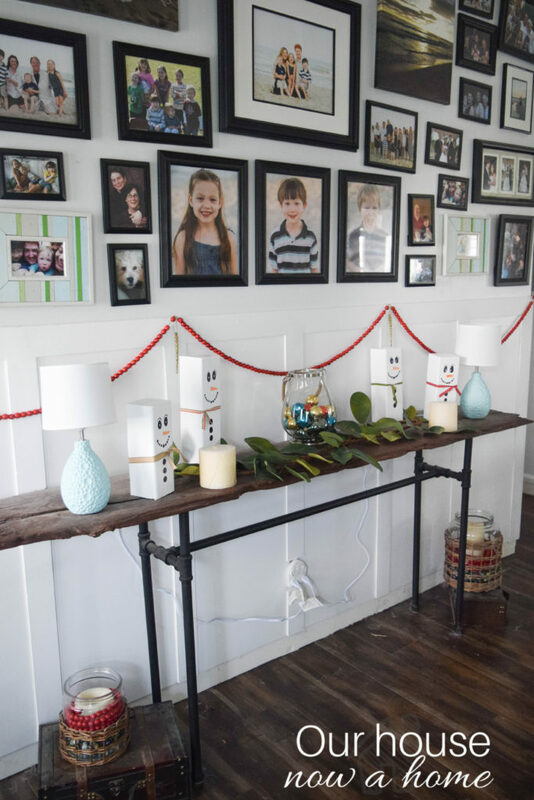 Do your kids get involved in decorating your home for the holidays? I love these little guys! They’re so cute! those snowmen are too cute. I am loving this idea so much. Your house looks so warm and cozy. i want to come over and just talk and sip tea. 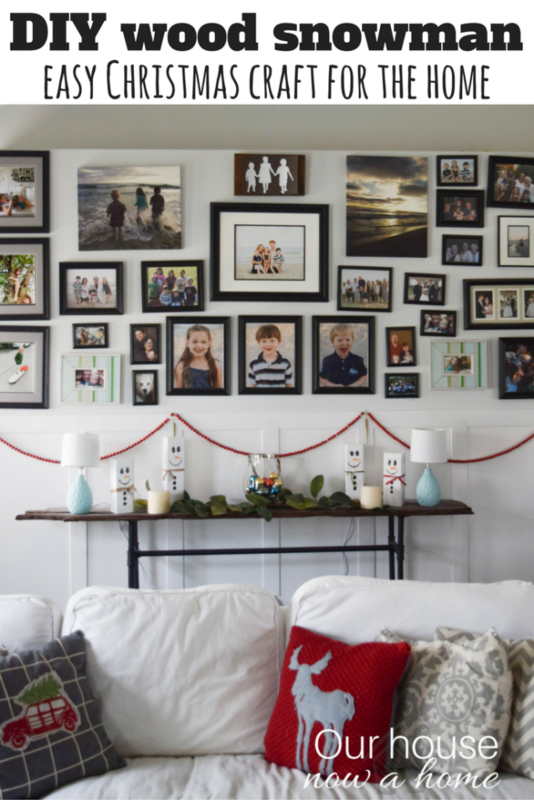 That snowman is adorable but I LOVE LOVE LOVE your photo wall! Absolutely beautiful!!! This craft is so festive and cute. I am in love with your picture wall! They are totally adorable! I love that they’re bright and fun and sort of a funky non-traditional shape. These are adorable and so simple! My house is covered with snowmen decor all winter. I may just have to add one (or two, or three) of these! I love this idea. My son’s teacher had them each make one at school. (Obviously not as nice as yours! LOL!) I’d love to make more to decorate the house! Those snowmans are so cute! I want to do a few for our house. 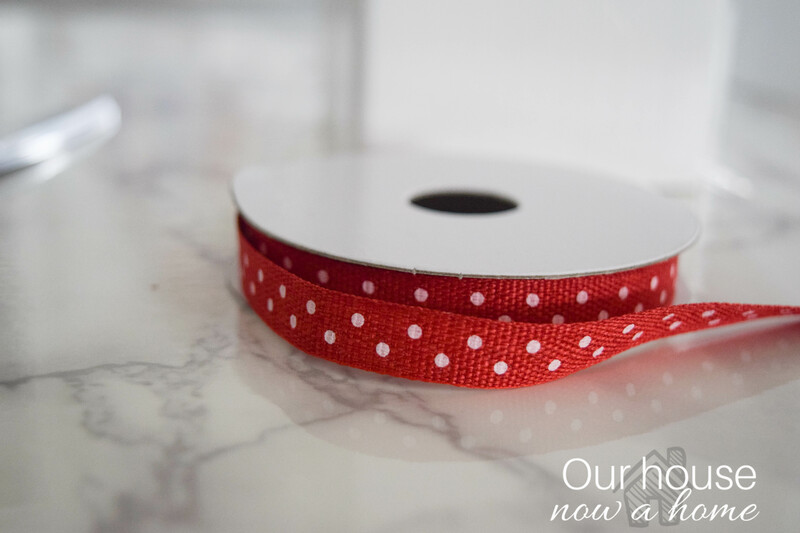 This DIY is too cute. 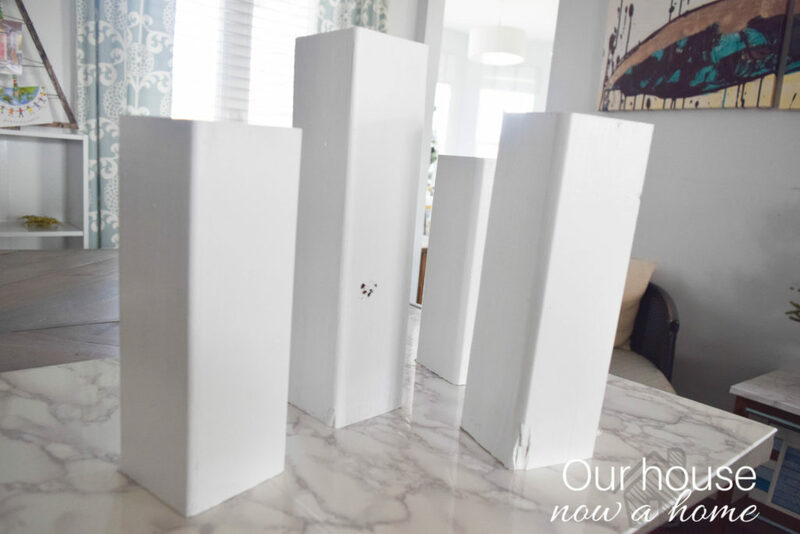 I would love to make these for my livingroom. These are so so cute! And, so simple to make! Love them! Darling! 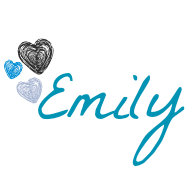 They are super cute and I love how simple they are to make! 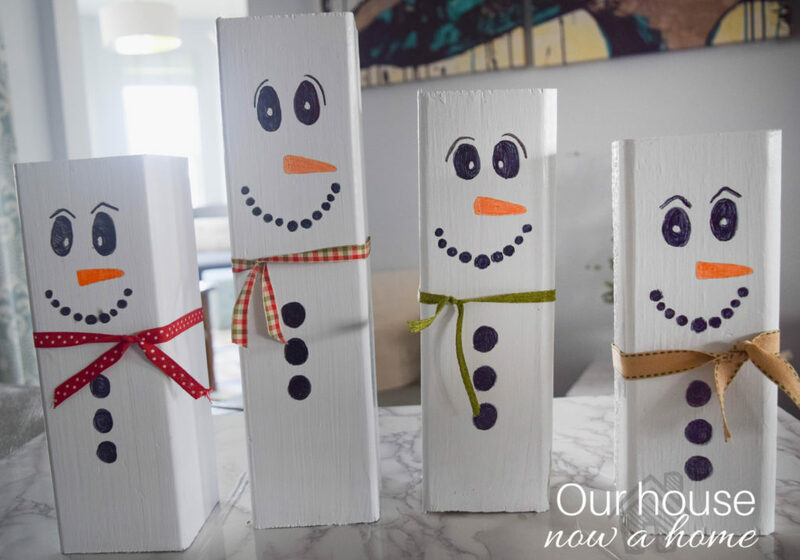 These snowmen are just adorable!